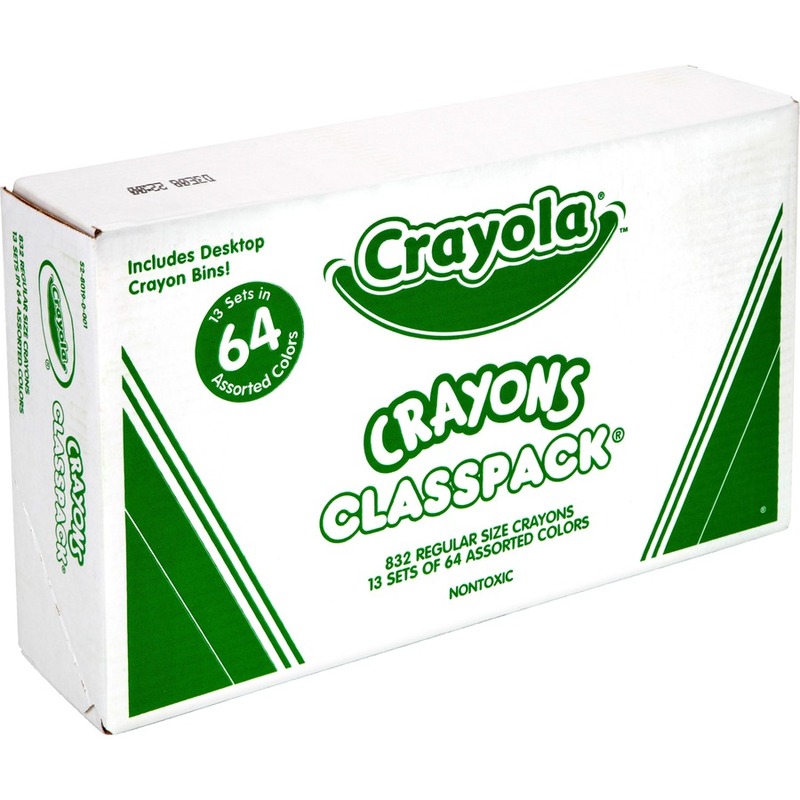 Classpack crayons make it economical to stock enough crayons for every student. 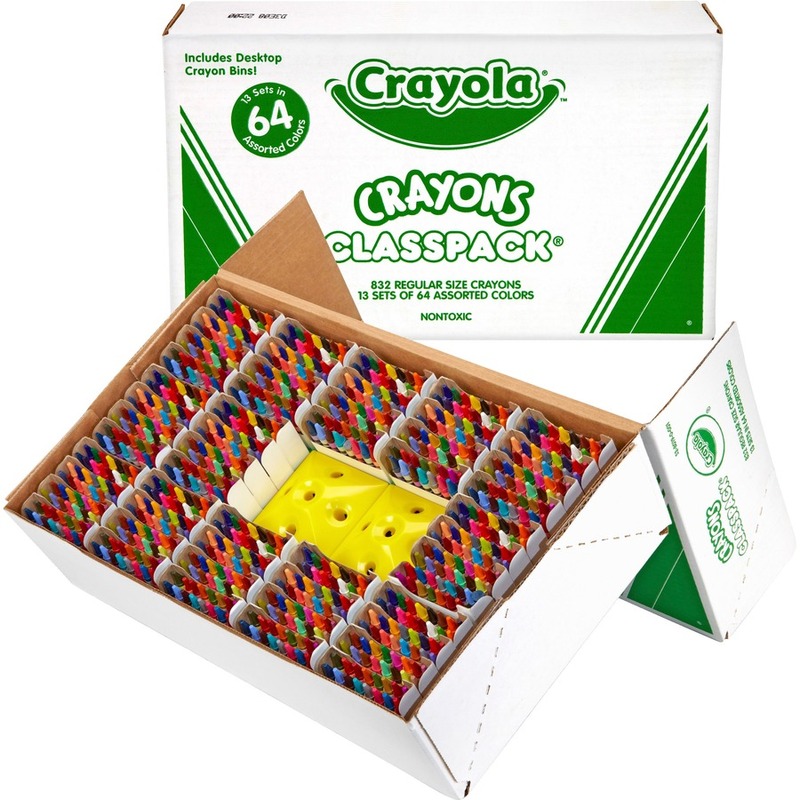 The sturdy box storage is ideal for classroom use. 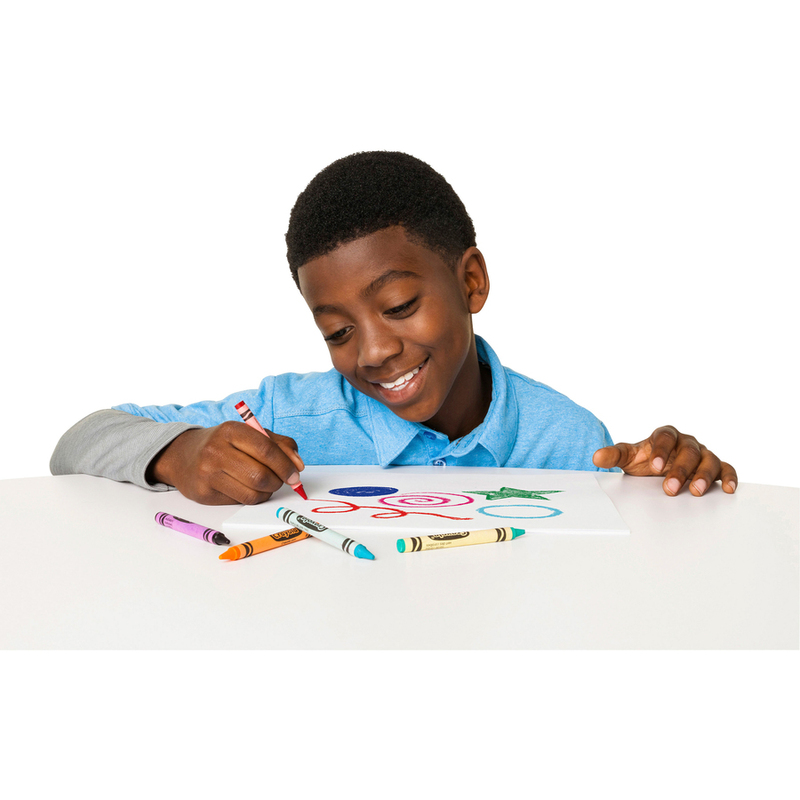 Crayons offer a brilliant assortment with true hues and pigments and smooth, even laydown. 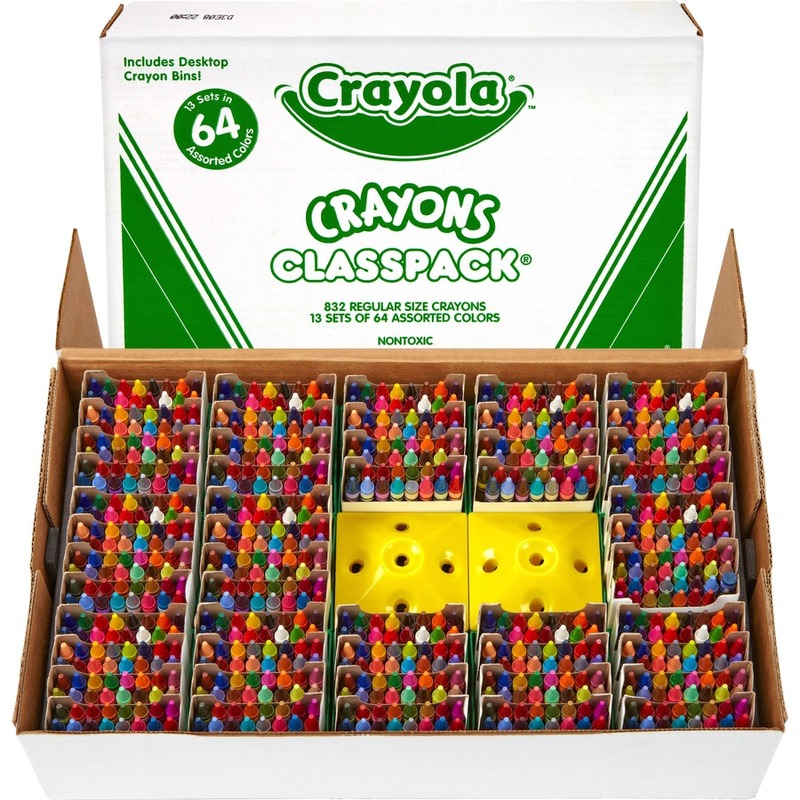 Crayons are permanent and waterproof. 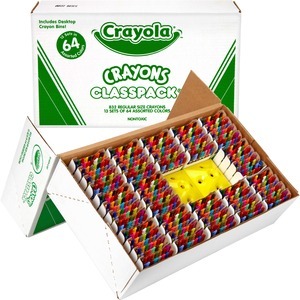 Crayons are certified AP nontoxic.